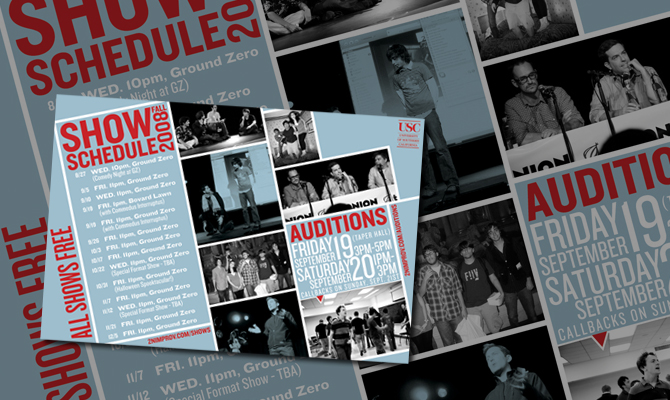 Postcard for collegiate improv group Second Nature’s 2008-2009 season. 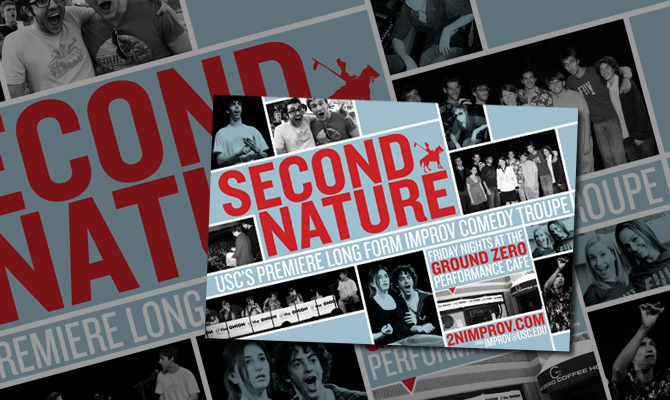 Though they were a relatively young troupe at the time, Second Nature had established themselves as one of the premiere college improv troupes in the country. They wated a postcard that highlighted their history of performances, special guests, and events.